How can we improve this forum? Do you require any assistance? Last edited by Jon E. on Tue Jan 10, 2017 4:04 pm, edited 1 time in total. Yes, the format and mission, everything is changed, pretty much. There is still a Parisa Abhaya Dana section and you can post there about practice and personal experience. The previous format of being hidden from google, all posts not showing until one joins and logs in, etc. was a great concept -- it just didn't work. In the last 2 months of that forum, there were no posts except from bot spammers. I had posted quite a bit near the end of the old DP-- but in my own blog as it wasn't clear which fora were appropriate for what I wanted to share. That was never clear with DP. I'm not sure I follow what you mean about the Parisa Abhaya forum-- in the new DP this is the only place where it is appropriate to post anything in terms of personal practice or experience? Either way, I'm sure this will be virtuous. Thanks. Jon E. wrote: I had posted quite a bit near the end of the old DP-- but in my own blog as it wasn't clear which fora were appropriate for what I wanted to share. That was never clear with DP. Anyhow, it's good to see you here again. If you write at all and you choose the wrong subforum, I'm sure the moderators can help by shifting your work to any appropriate place. I mean, the right place is not so much the problem of the member. Let the mods have their heads spinning around this problem. Correct, we could move posts or threads to new places. And if there is enough interest in a subject matter not on the home page, a new sub-forum could be created with discussions related to that moved there. Just pick the tradition closest to how you practice and post... or try the Practicing the Perfections section. 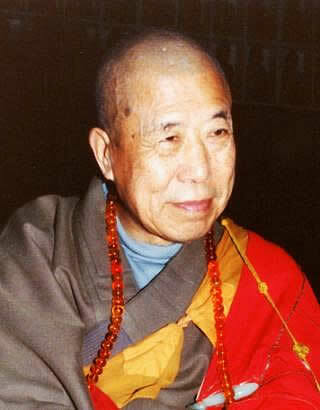 I put some of Master Hua's teachings on cultivation there, even though not on the paramitas exclusively. perhaps all the fora can be utilized in that fashion but just aren't.. Sharing personal practice details is rather private between guru and disciple; asking for guidance or just venting your problems in a public forum is part of the reason the old Dharma Paths faded away. Nicholas wrote: Sharing personal practice details is rather private between guru and disciple; asking for guidance or just venting your problems in a public forum is part of the reason the old Dharma Paths faded away. My apologies. I didn't realize my posts in the old Dharma Paths were so negative and detrimental to the forum. You were not mentioned, nor meant, nor suggested by me and I do not even recall any of your posts or anyone else's for that matter. I wrote something similar at the time, just as a general principle - not focusing on anyone. OK, I misunderstood. You had said: "just venting your problems in a public forum". 'Your' collective - meaning 'ones' - anyone in general. See how tricky words on a screen can be. Hope you find a good knowing advisor you can visit with on occasion. No worries. I know many Buddhists are vehemently against personal narratives on Buddhist boards. Just trying to navigate the waters as this is a new forum. Some on the old Dharma Paths were particulalry committed to confessional writing. Just learning the ropes after the transition. Tried to delete this thread. As the forum has evolved it is no longer relevant. It's best to not delete posts or threads as it messes up the continuity of discussions. Although a thread may no longer appear relevant, in the future someone might have a similar question or suggestion and we can refer them back to the previous discussion.